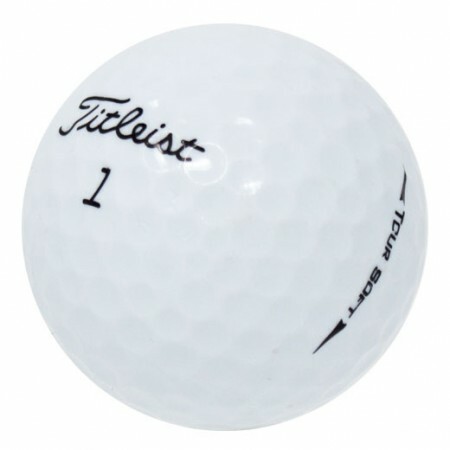 Titleist Tour Soft is the perfect ball for those looking for better performance and feel. The balls were exactly as advertised. Not sure yet. Haven't used any of them since they were so late getting to me. Just looking at them they appear to be a bit rough. Seem to have more markings and regular scuff marks. Will probably stick with 5* from now on. Ordered 2 dozen tour soft, 22 of them were in mint condition and love them! But, 2 were DT model. Second order that wrong model was shipped with what I ordered. Love the ball. A little extra distance but plays like a ProV around the green. Better than my game by a lot, but nice to know the ball won't be the problem. I have been using lostgolfballs.com for years now and have never been disappointed. Every ball I have purchased was a "keeper". Love this golfball and the quality was great! Great condition. Just what I would expect for “mint” used balls for a frection of the cost to buy new.